Emerald Bay, Lake Tahoe, CA/NV. Invasive clams were first documented on the south eastern shores of Lake Tahoe. Clams have the ability to decrease water clarity by excreting nutrients into the water column and stimulating algal growth which can decrease lake clarity. Clams can also out-compete native species for valuable habitat space, which can then influence higher trophic levels such as fish. 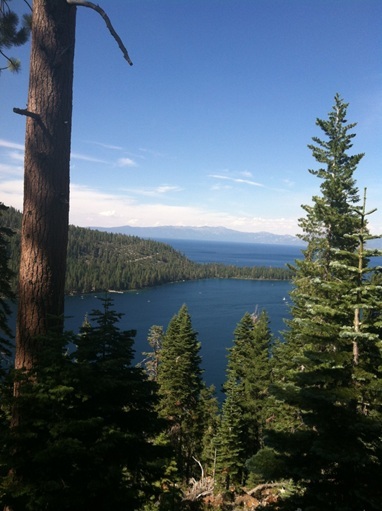 Since the initial colonization on the south east, clams were recently documented Emerald Bay of Lake Tahoe, a State Park and highly visited and scenic section of Lake Tahoe. Because of the effects clams can have on ecosystems, and their potentially unattractive appearance on Lake Tahoes beautiful beachesm, local authorities have begun to take action in controlling this species. 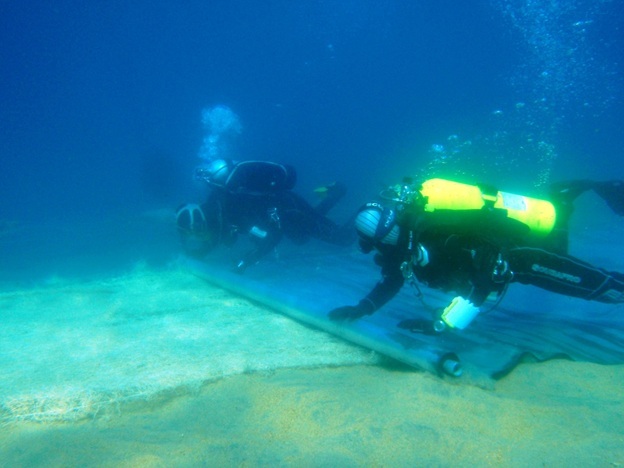 In Emerald Bay a massive control effort has been undertaken, 5 acres of rubber mats augmented with organic material have been laid down to kill the clams (the largest control effort to date). 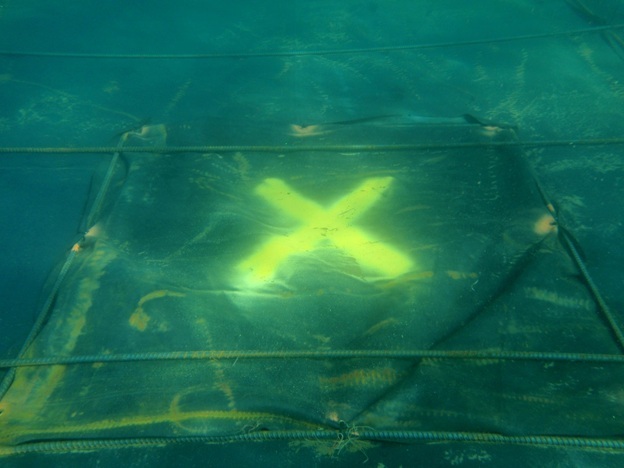 The goal of this is to use rubber mats to cause anoxic conditions at which point the clams will be killed by suffocation, unfortunately another side effect of this is the mortality of native species as well. As part of the Science team the AEAL lab is responsible for reporting on the effectiveness of these clams, and understanding the method by which mortality is achieved. We are collecting pre and post petite-Ponar samples (a deviced used to sampled lake bottoms) to document mortality of clams during the control process. We are also responsible tracking physiological changes to clams throughout the process. We are doing this by examining their reproductive capacity during the control experiment. Additionally, will be documenting the impact the mats will have on the native biota.